Where is the Fortnite sundial? That’s no doubt a question you’ll be asking when you start to take a look at the latest challenges for week 9. You’ll know how this kind of task works by now: the challenge works in three parts, and you need to complete each stage before you can get on to the next one. The first part you need to finish off is a dance on top of a sundial in Fortnite. We don’t imagine you’ll have much need for this device during your next round of Epic’s famous battle royale game: you’re more likely going to need to worry about the incoming storm ready to claim the life of your ephemeral avatar than using it to work out the time of day, but we’re going to help you find the Fortnite sundial with this guide, anyway. 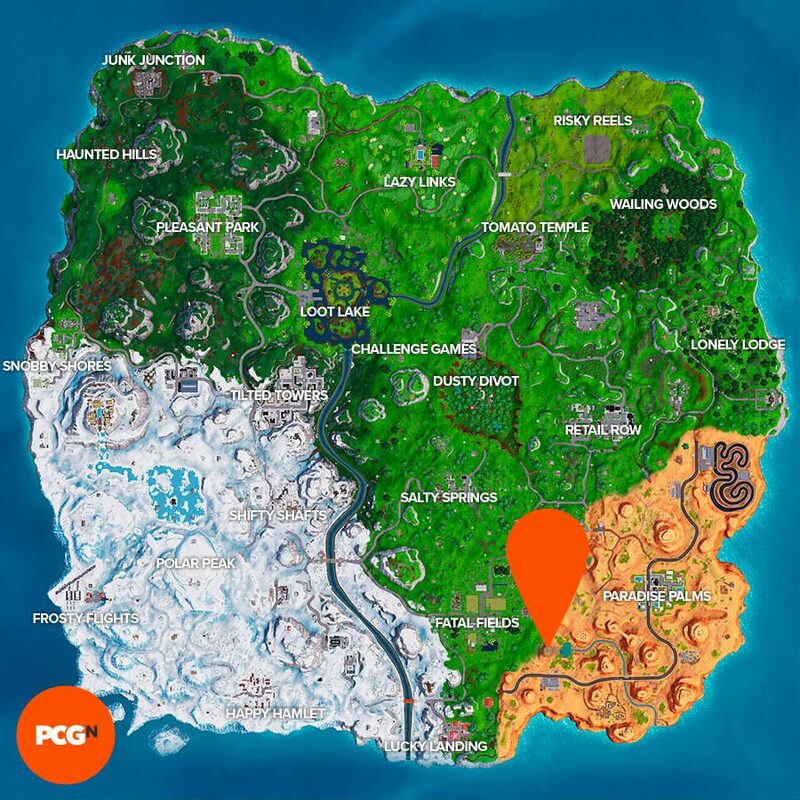 We’re going to be diving out of the battle bus in the general direction of Fatal Fields to try to track down this mysterious time-telling point of interest. 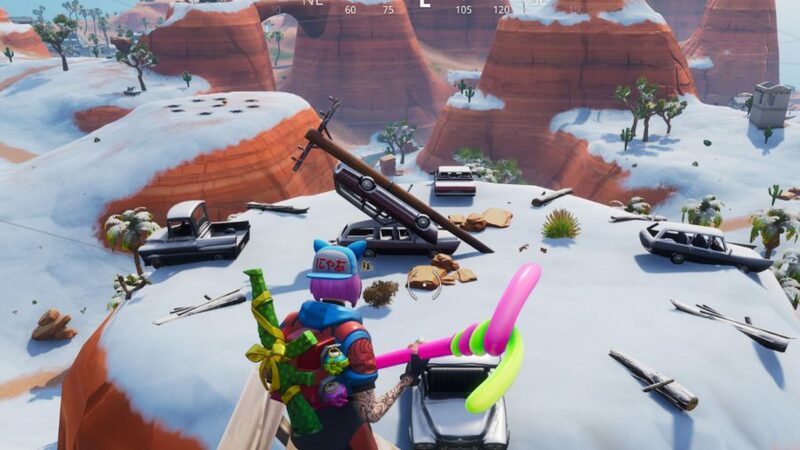 Just in case your knowledge of the map isn’t what it used to be, it’s north-west of what was once the desert biome, before it was smothered in ice thanks to that pesky Ice King. Anyway, here’s the Fortnite sundial location. The sundial in Fortnite can be discovered south-east of Fatal Fields. 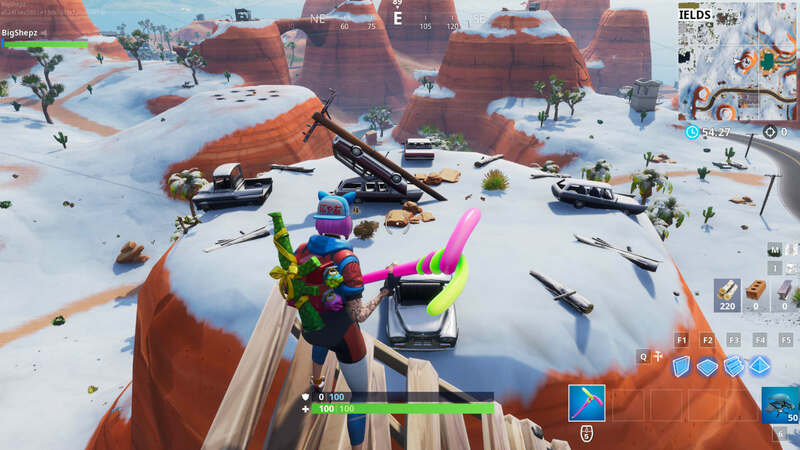 It’s pretty much bang on where the old border was between the normal and desert biomes before the snow storm blew in a few weeks back. Below you can see a map and screenshot that gives you a more specific idea of where you can find it. And there you go, that’s how to complete the first stage of this three-part week 9 challenge. Of course, this phase of Epic’s multiplayer game is almost at an end, so make sure you’ve got as many challenges done as you can before the Fortnite season 8 release date arrives. For now, have fun telling the time the old-fashioned way.